I hope you read that like an American boxing MC introducing a champion to the ring, because that’s the voice that a heavyweight like Pliny the Elder demands. I’d never heard of Pliny before I started down the road to beer-geekery with this blog, but I’ve since discovered that Pliny the Elder (and it’s rarer, stronger brother Pliny the Younger even more so) is one of the most worshipped beers in the world. Being a sucker for celebrity, this meant that tracking down some Pliny was my top priority (hell, my only priority) during my two day stopover in Los Angeles. 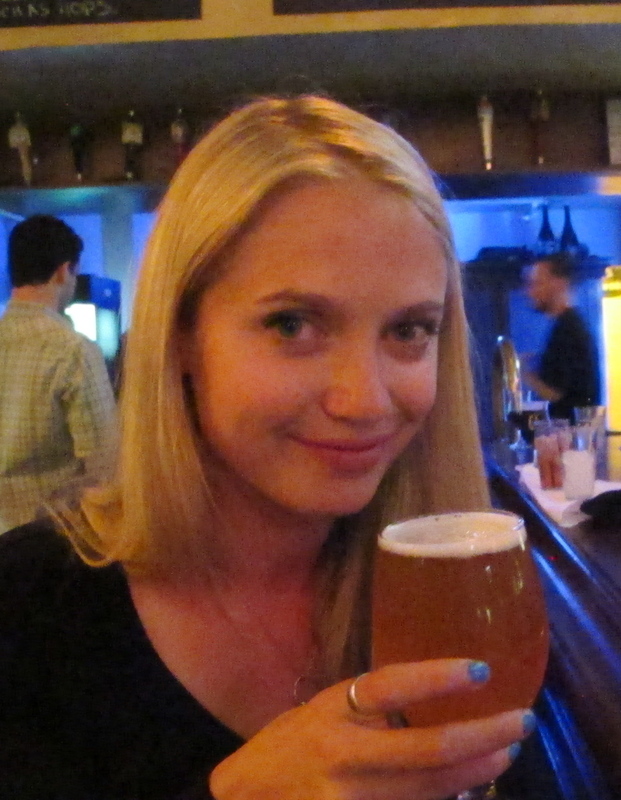 The first couple of bars I tried didn’t have Pliny (they introduced me to Stone beers instead however – so good! ), but at Blue Palms Brew in Hollywood I finally found him. And guess what? They even had it on tap! I freaked out with excitement. I imagined the Tweet I would send if my iPhone hadn’t been stolen: “Drinking a Pliny the Elder on tap @Bluepalmsbrew” it would say. If only! With barely contained glee I placed my order (“One PLINYYY THEEEE ELDERRRRR thanks!”), but as the bartender put the beer before me I became aware of a strange, heavy sensation in my body. It was almost as if the four IPA’s and mixed tasting platter and the Russian River Consecration I’d warmed up with were having an adverse effect on my body. With the realisation came a sudden wash of crippling, heavy drunkeness – like Roadrunner falling to his doom after he looks down. I brought the Pliny to my lips and had barely registered the taste of fresh hops before I was forced put it back down again. It was over. I left the glass undrunk, and went home to throw up. The next morning – hungover and hideously ashamed of myself – I skulked back to Blue Palms and ordered another one. And you know what? This time it was incredibly delicious. I’m not sure I can properly explain why. It was like a punch in the face (hops) – only it didn’t hurt much because the person punching me was wearing a cushy soft glove (malt). It was bright and crisp and a bit like freshly squeezed hop juice, but the balance of caramelly malt was exactly right. Flavours were classic – citrus and pine – and the finish was bitter and long. I realise I’ve described a bunch of IPAs in the exact same way in the past – but trust me guys, this one was special. 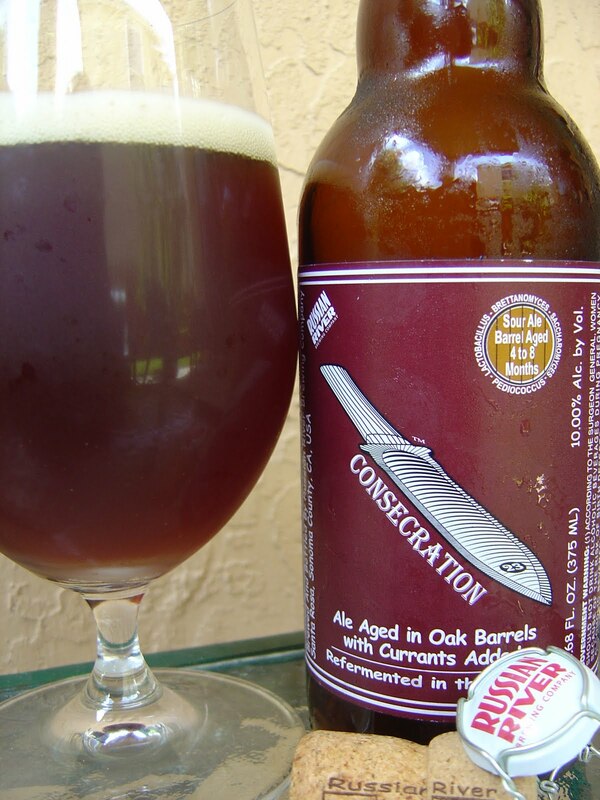 A Sour Ale aged in oak barrels with currents? Cut It Out! I knew this was going to be one of my favourite beers before I even tried it. I had already purchased it once before – for about $35 from beerstore.co.nz for my Dad’s birthday – but I had only ever tasted it in my dreams. And what sweet, sweet (and also sour) dreams they were. I had been expecting a sour bomb, but what I got was more like a sweet, oaky dessert wine with a tangy, sour finish. Flavours were of currants, cherries, oak, vanilla – and something a bit old, leather or books perhaps. It was beautifully balanced, refreshing, and also f***king strong.